Directly below my comments you'll find a short statement about Benton Harbor's Rev. Edward Pinkney, written by Civil Rights attorney Buck Davis. What he writes is painfully true, though the tremendous level of human anguish in black Benton Harbor resulting from the truth Davis speaks, remains mostly hidden still. Under Under Davis' comment is another, authored by Pinkney. In it he levels an incredible charge at Berrien County Sheriff Paul Bailey. Speaking at a meeting of prominent area Republicans, Pinkney directly quotes Bailey thus: "We convicted Rev. Edward Pinkney and he will be going to prison for the rest of his life." Pinkney also reports Bailey's statement was met with a standing ovation. That "life" in prison thing is an absolutely incredible thing to say, given that Pinkney's sentencing isn't until Dec. 15th. Clearly stating "... he will be going to prison for the rest of his life," indicates the sheriff already knows what the sentence will be. Should that be the case, a "fix" is unmistakably indicated, meaning a fair trial for Pinkney was impossible for him to obtain - because verdict and sentence had been predetermined by top justice officials intent on being rid of Pinkney's insistent free speech activities, forever. Yesterday I had an opportunity to interview a witness from the trial. This person was one of THREE testifying they were eyewitness to a woman physically changing dates on petitions, the same petitions the prosecutor insists Pinkney was guilty of altering. Quite conveniently, police were "unable to locate" the woman identified. The prosecutor could not and did not offer a single witness that could/would state that Pinkney was responsible for the changes. Additionally, a Michigan State Police documents examiner testified the dates had indeed been changed, although it was impossible to determine exactly who was responsible for the changes. For the hand-selected, all-white jury, three eyewitnesses and much more that directly contradicted state's "evidence," it wasn't enough to add up to "reasonable doubt" ... and the entire cop-courthouse community is in celebration mode, demanding the rest of Pinkney's life. Toward the end of his statement Pinkney writes the following, "Only in America, the land of the free and the home of the brave, it is open season for cops to kill unarmed black people and not go to prison." For me, the level of misconduct demonstrated by Darren Wilson's defense attorney, umm, I mean the St. Louis County Prosecuting Attorney and HIS hand-picked Grand Jury, equates most evenly with the travesty of justice inflicted upon Pinkney, justice meted out by his all-white jury of figurative lynchers unable to separate genuine evidence from penultimately empty accusation. In both cases life itself is sacrifice - and the real killers walk. Time for champaign and toasts to our power! "Open season for cops," Rev. Pinkney writes. Now, just this morning, I run across this: <http://www.cleveland.com/metro/index.ssf/2014/11/cleveland_police_officer_shot_1.html>. Watch the vid. The cruiser hasn't even stopped rolling when this "officer" leaps out of it and shoots 12-year-old Tamir Rice quite, quite dead. BAM! BAM! Judge, jury and most especially, executioner. Should these open murders persist, instead of "open season for cops" this sort of official misconduct will inevitably result in open season ON cops. Try selling Tamir Rice's kin on the idea his homicide was in any sense "just." Try selling yourself on that theory when a horrible morning dawns on YOUR family's 12-year-old's cop-shot corpse. I can hear it now: "Oh, come on! It's not that bad. That can't possibly happen here." Think not? According to a study conducted by the World Justice Project, among developed nations the U.S. ranks NINETEENTH when it comes to "access to justice" <http://www.huffingtonpost.com/2012/11/28/rule-of-law-index-2012_n_2200765.html>, scroll down for chart. In estimating the extent of the problem posed by unaccountable thug cops, I suggest you consult the following URLs. The problem is epidemic and growing worse at the same time the Pentagon is turning huge amounts of 'surplus' military weaponry over to local police departments, free of charge. Ask yourself, "Does my local police force really need thousands of assault rifles with bayonets - kill power tremendously enhanced by 50-caliber machine guns and rocket-propelled grenade launchers?" Here <http://www.vox.com/2014/9/3/6101895/charts-police-militarization-1033-program-obama-administration> and here <http://www.informationclearinghouse.info/article35085.htm> (video). If you find the idea of police celebrating their free-handed violence hard to believe, meet Los Angeles County Sheriff Department's. "Jump Out Boys" <http://www.dailymail.co.uk/news/article-2275478/LASD-clique-named-Jump-Out-Boys-matching-tattoos-fired-claims-aggressive-behaviour.html>. Think too about these absolutely run-amok cops in New York City, where they gunned down a known murderer - but shot 9 innocent bystanders in the process, during the course of their wildly uncontrolled, unprofessional, terrified-response, rank amateur gunplay <http://www.dailymail.co.uk/news/article-2193514/Police-response-Empire-State-shooter-questioned-evidence-reveals-officers-gunfire-injured-passers-gunman-fired-bullets.html>. Massachusetts SWATs are claiming they're a "private corporation," an entity whose records are granted privacy by law and thus immune to public scrutiny <http://govtslaves.info/swat-team-claims-theyre-private-corporation-immune-record-laws/>. Out West we find 121 Seattle cops suing the city for "unconstitutional restriction of force" <http://www.reuters.com/article/2014/05/29/us-usa-washington-police-idUSKBN0E90AI20140529>. Now, balance all of the above against how the French police MUST conduct themselves at all times <http://www.france24.com/en/20130301-french-police-ordered-be-polite-all-times-0>. On one hand there's civilized understanding that established law enforcement MUST be equally subject to the law. It especially requires police, holders of great PUBLIC powers of imprisonment and deadly force, be PERSONALLY representative of the Spirit of Law and Justice, at all times. On the other hand there's us. Our reality is one of formally legislated, court-protected, increasingly unaccountable and ever-more deadly police state occupation. And at this very moment, a Benton Harbor-St. Joseph police state nightmare is being experienced on a very deep, very personal level by Rev. 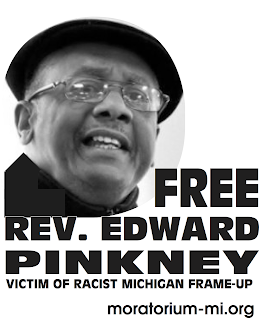 Edward Pinkney, his life now sacrifice at the hands of an obviously, deeply corrupt system of "justice." The look in her eyes, the expression on her face - if her eyes could shoot I would be dead. How much hate can one person have in their heart? Gail Freehling is the type who would be responsible for mobbing, hanging, and shooting blacks for no reason. Racism in the 1960's: it was a huge decade and a war/battle every day between Blacks and Whites. Black and Whites had different drinking fountains and wash rooms. In Berrien County, Michigan blacks are viewed as horrible people. When whites see a black person on TV or walking around Three Oaks, St. Joseph, or Stevensville, their first thought is, "what is a black person doing in our community?" sitting in judgement of me. The jury was motivated by something other than the truth. me, no confession, and a group of white hating black people. In the Berrien County courthouse this was a modern day lynching. In 1960 they wore white robes and masks to symbolize their color and to sometimes act like ghosts. Today they wear suites, ties, and black robes to symbolize their color. We must not forget our friendly American police officer whose job is to serve and protect - and have murdered someone every single day of the year. Only in America, the land of the free and the home of the brave, it is open season for cops to kill unarmed black people and not go to prison. If Whirlpool, Rep. Fred Upton, and Berrien County Court have their way, Rev. 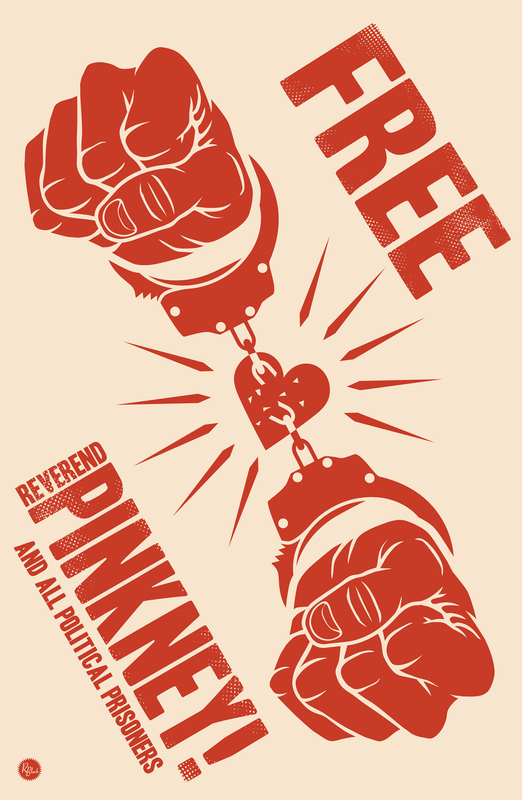 Pinkney will be going to jail for the rest of his life, convicted with no evidence. Killer cop Darren Wilson set free with evidence in Ferguson, Mo. We the people must stand up against racism and discrimination, we must protect the have-nots. It is not one thing, it is everything. Let us stand together and fight and win.